Be prepared for job searching with a professional-sounding email address. If necessary, use this email address as a dedicated job search email address. A professional email address will be simple, and not full of slang terms, description words, etc. A simple jane.doe@gmail.com or jdoe@gmail.com or jmdoe123@gmail.com will suffice. Update your resume regularly, even if you are employed. Not only will you have an updated resume ready to go if a job opportunity should arise, but you will stay fresh on your resume-writing skills- something that only improves with practice. Check your resume and cover letter for spelling, grammar, punctuation, and spacing errors multiple times before sending. Have a friend, family members, or trusted co-worker read your resume and cover letter for errors. You will get better results if you have multiple sets of eyes searching your documents for errors. Never include your reason for leaving a job in your resume. These things are better left for explaining in person during an interview, if asked. If an application asks for a reason for leaving last position, keep your answer simple. Never use insulting language toward a past company, even if you experience with leaving the company was negative. 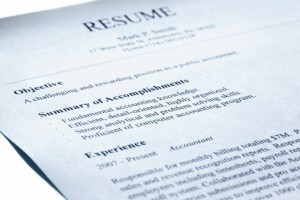 Find a resume template or format that you like, and spend time adapting your resume to look organized and attractive. A well-organized resume can sometimes be what puts your resume pile in the “yes” or “maybe” piles, instead of the “no” pile. Things like font (stick to basic fonts such as Times New Roman or Calibri), font size, page margins, spacing, and page alignment are important factors in creating a resume. Remember, recruiters receive multiple resumes and cover letters for each job posting, so spending a little extra time making sure that your resume is clean, organized, simple, and error-free are important steps to ensuring your resume is even looked at by a recruiter. If your college or university has a student employment or career development department, utilize them! They can help you build, organize, and proof-read your resume, help with interview tips and tactics, help with job searches, and help with many other job searching issues. If you have a smart phone, use it to your advantage. There are tons of job search engines (many named above) that have mobile apps that can alert you when new jobs are posted. If possible, tailor your resume and cover letter to the specific job. It’s not always the best practice to include every minute detail about your work history. If you need to keep your resume down to one or two pages, make sure that only the most relevant details to the company/position to which you are applying are included on your resume. Because recruiters get so many resumes for one job posting, they are not going to take time to diligently read through your resume. Make sure that if the recruiter is going to skim your resume, they are getting the most important details of your work history relating to that specific job without having to wade through extra information. Check out our Job Search Resources.